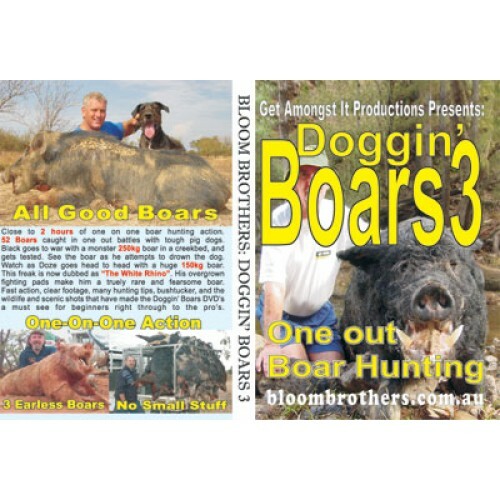 Bloom Brothers Doggin' Boars 3 by Get Amongst It Productions. Close to 2 hours of one on one boar hunting action. 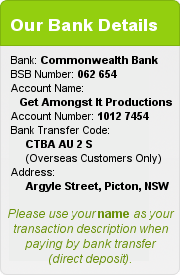 Black goes to war with a monster 250kg boar in a creekbed and gets tested. See the boar as he attempts to drown the dog. Watch as Doze goes head to head with a huge 150kg boar. This freak is now dubbed "The White Rhino". His overgrown fighting pads made him a truely rare and fearsome boar.